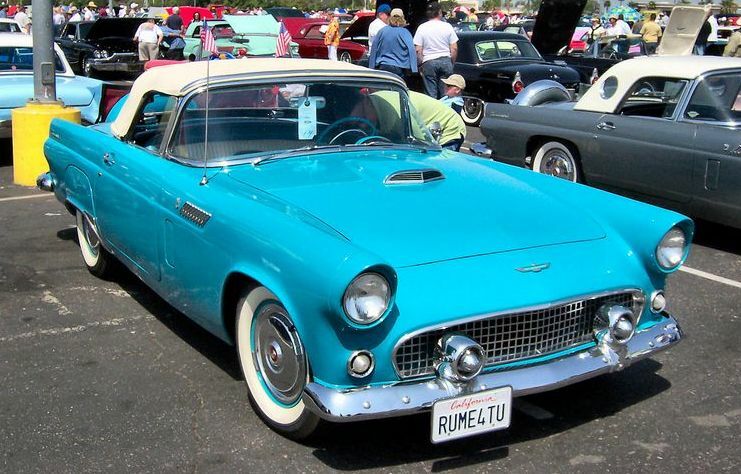 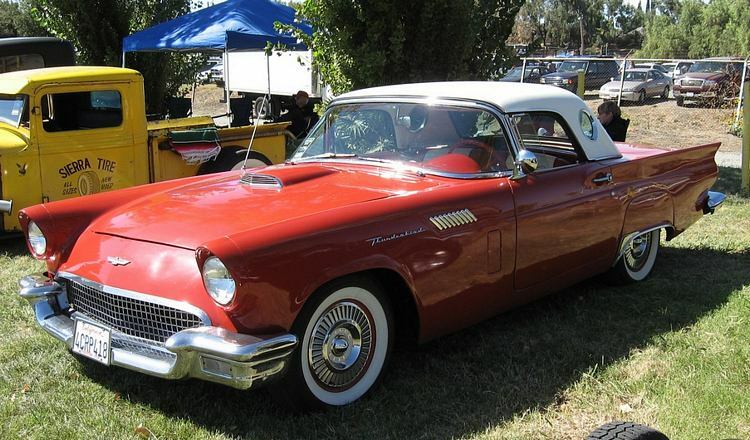 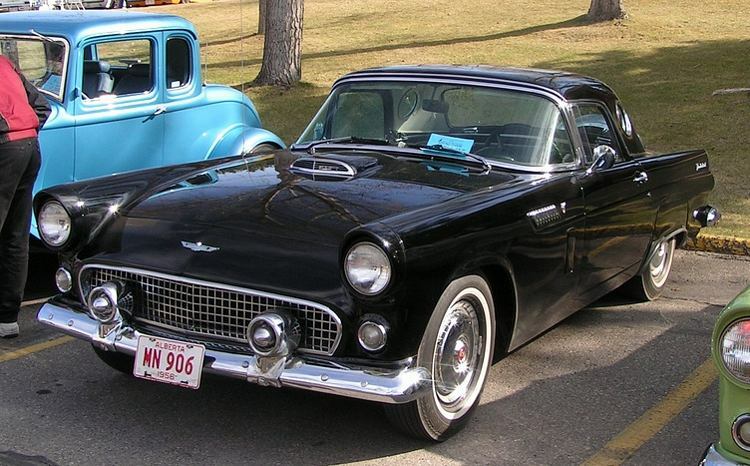 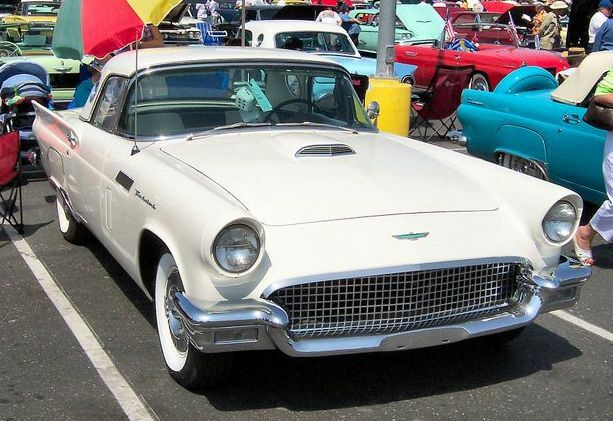 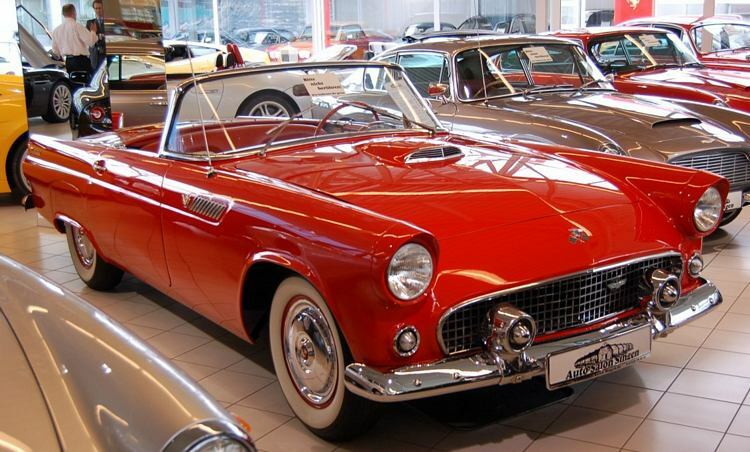 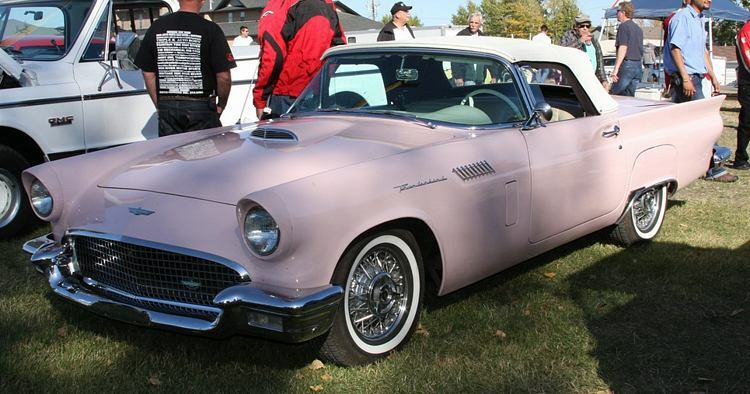 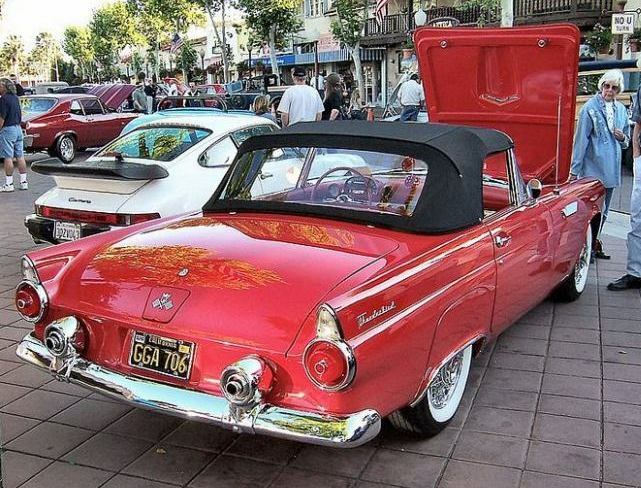 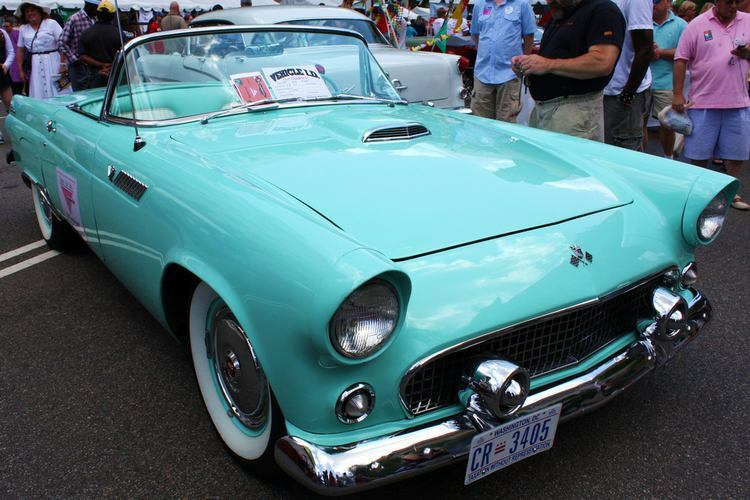 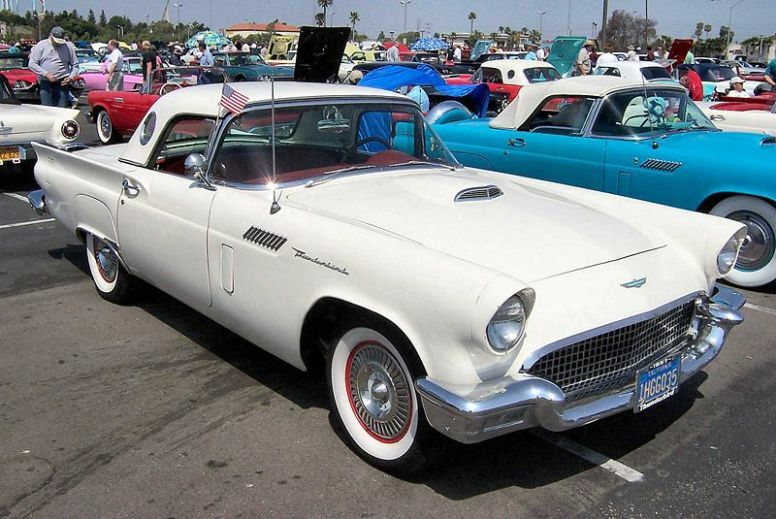 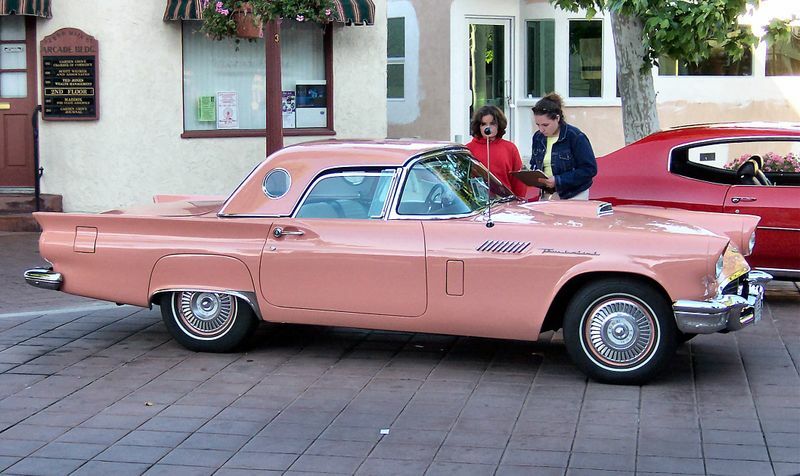 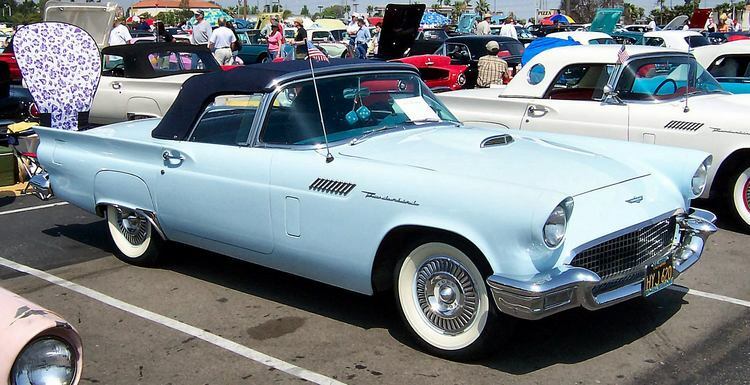 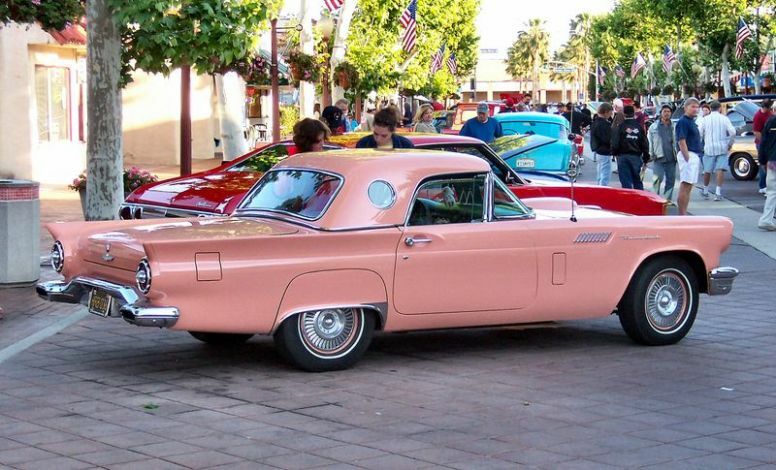 Additional Info: Actually sold from October 1954 as the 1955 model, the Thunderbird had a removable fibreglass roof and was reported to have been built in answer to Chevrolets Corvette, but not actually sold as a sports car or the Vettes competitor. 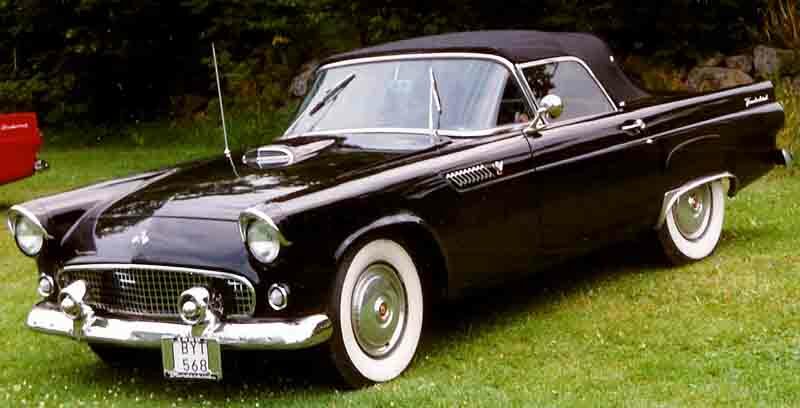 The 292cu engine in 1955 was available with 198bhp or 212bhp. 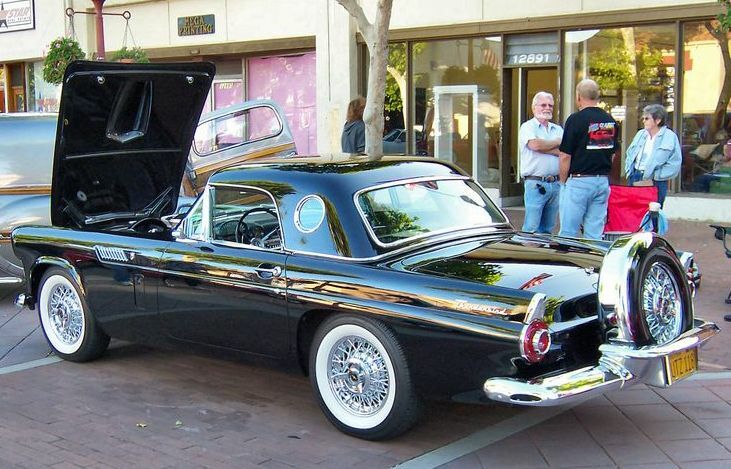 1956 models have the spare wheel mounted outside, giving more room in the boot and a porthole added to the hardtop, also to note is the addition of an air vent on the front wing towards the front doors and below the grille vents which are already located on the upper part of the front wings. 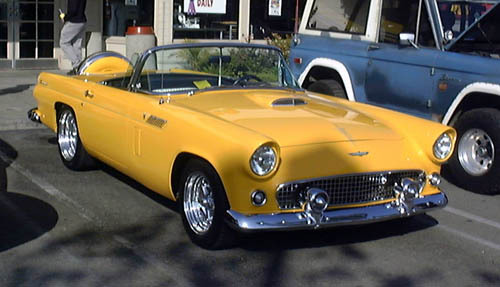 A new 312cu engine with 215bhp is also added to the line up in 1956. 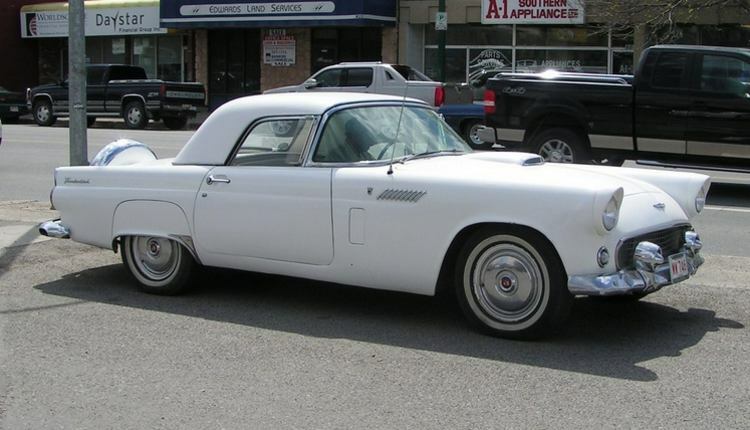 1957 saw new bumpers, grille, larger tailfins and rear lights and the spare wheel is once again placed in the boot. 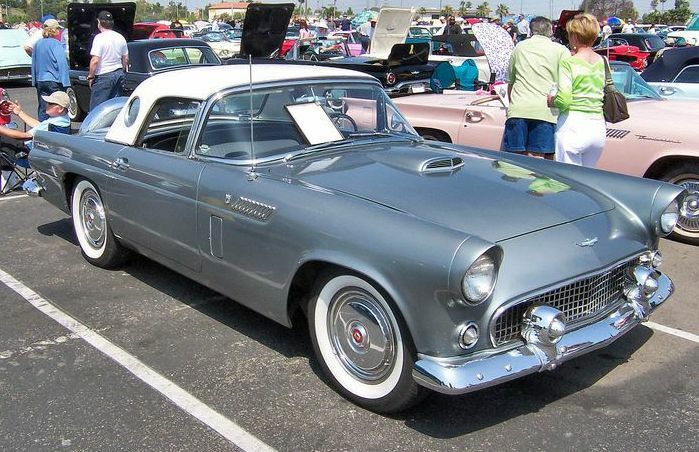 Performance is upped with the 312cu engine now available with 2 four barrel carbs rated at 270bhp or 285bhp with a Ford Racing kit or even a single four barrel carb with a Paxton-McCulloch supercharger rated at 300bhp or if that isn’t enough you can add to this a NASCAR racing kit, taking power up to 340bhp and 0-60 in around 6 secs with a 125+mph top speed.